Dr. Angelino Viceisza, Associate Professor of Economics, was awarded $299,797 from the National Science Foundation for his collaborative research project entitled, “Excellence in Research: The impact of online comparison websites on the remittance industry” with Duke University. Dr. Viceisza recognizes the significance that migrant remittances play in global development. This study will be (one of) the first to attempt a rigorous assessment of the causal impact of remittance-comparison websites on both the demand and supply sides of the industry. The study will combine field experiments, surveys, and (welfare) simulations/structural modeling using data from 500-600 migrants from El Salvador, Guatemala. Mexico, and/or India at multiple points in time. A Spelman student will work with Dr. Viceisza as a research assistant each year, in an attempt to build critical thinking/research skills. This student will also be paired with a graduate student at Duke in order to strengthen technical skills (such as coding and modeling) and gain perspective into the life of a graduate student. Dr. Danielle Dickens, Assistant Professor of Psychology, was awarded $493,708 from the National Science Foundation for her collaborative research project entitled, Excellence in Research: Navigating the Double Bind: Assessing the Development and Contribution of Identity Shifting to the Recruitment & Retention of Black Women in STEM Education. This project will perform 3 studies using a survey and daily diary method approaches to examine identity shifting in undergraduate and graduate Black women in STEM. The new measurement tool will allow researchers to better understand STEM identity formation and is expected to lead to more effective interventions to increase and broaden participation in STEM education and careers among Black women and other women of color. Learning and establishing clearer pathways for success in STEM will ultimately increase the achievement in Black women in STEM education and careers. 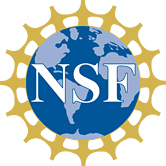 Dr. Peter Chen, Professor of Chemistry, was awarded a 3 year grant from NSF entitled, Excellence in Research: Development of High Resolution Coherent 2D Rovibrational Spectroscopy. Dr. Chen’s project will develop a new high resolution coherent multidimensional spectroscopic technique that can deal with mixtures and can be used for studying a broad range of systems, such as mechanisms for reactions directly above a heterogeneous catalyst. The construction and development of this high resolution coherent multidimensional rovibrational spectrometer should provide a new tool that could be used for a wide range of applications and problems, beyond that of solving narrowly defined problems in the field of spectroscopy. The tool would be useful when dealing with mixtures that are important for chemical synthesis, catalysis, combustion diagnostics, atmospheric science, etc. This project would provide Spelman students with opportunities to engage in stimulating, cutting-edge, graduate-level research projects.